Last week Azamara Club Cruises announced that it was acquiring the newest of the eight “R” class ships, thus giving it a fleet of three sister ships. She will be named Azamara Pursuit. Still in the all-inclusive arena, Silversea has announced that it will lengthen its Silver Spirit so as closely to approximate the size of its newest ship, the Silver Muse and her planned sister ship Silver Moon. Both Azamara Pursuit and the lengthened Silver Spirit will be delivered in March 2018. Elsewhere, with two new ships due to be introduced to the Great Lakes in 2020, initial itineraries can now be pre-booked with both lines. But the question arises as to where they will berth in Chicago. Azamara Club Cruises has announced that it will purchase a sister ship to 684-berth Azamara Journey and Azamara Quest, with delivery set for March 2018. 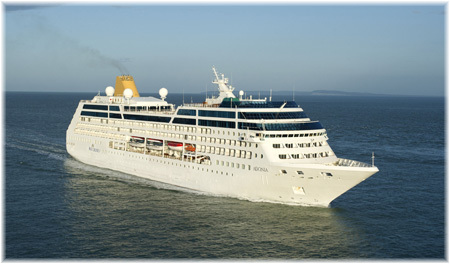 Currently sailing for P&O Cruises as the Adonia, the third ship will be named Azamara Pursuit. Together, the three ships will underline Azamara’s longstanding objective of offering more destination immersion and longer stays in port. As it happens, Azamara will end up owning the three newest “R” ships, a series of eight boutique cruise ships built by Chantiers de l’Atlantique in 1998-2001. The Azamara Journey was delivered as R6, Azamara Quest as R7 and Azamara Pursuit as R8. The present “R” class twins were built in 2000 and came to Royal Caribbean through its acquisition of Pullmantur Cruises in 2006, while the newest member of the trio, R8, was delivered in 2001. The R8 has held some prominent names in cruising, first as the second of three ships named Royal Princess that have sailed for Princess Cruises, then as Minerva II for Swan Hellenic, before moving to P&O Cruises as Adonia. 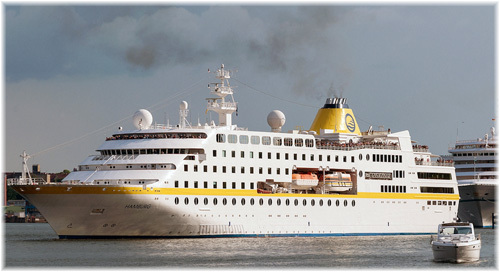 The Adonia may end up being best remembered as the first ship to break the longstanding embargo on American-based cruise ships sailing to Cuba when she entered Havana on May 2, 2016. 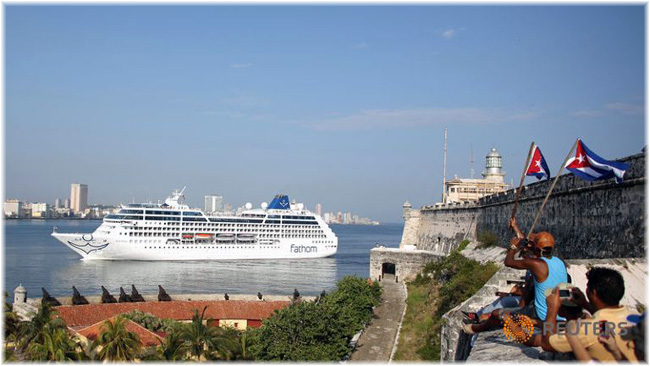 The remaining “R” class ships include four operated by Oceania Cruises and Princess Cruises’ Pacific Princess. As Azamara Pursuit, the latest acquisition’s décor will be updated to match that of her sisters, bringing passengers the experience of a being in a boutique hotel at sea. 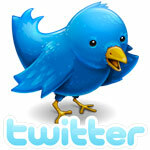 Planned deployment and itineraries will be revealed later this month. 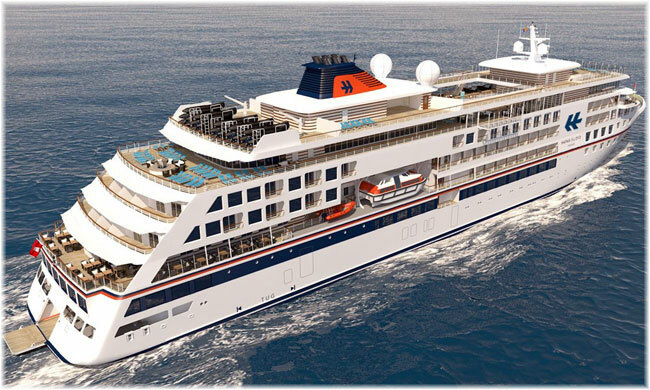 A month ago we mentioned that Hapag-Lloyd Cruises’ 230-berth Hanseatic Inspiration and Ponant’s 184-berth Le Champlain would be performing maiden Great Lakes seasons in 2020 and now we have initial itineraries for both ships. Hapag-Lloyd last operated in the Great lakes with the 420-berth Columbus in 2011. The new ship, Hanseatic Inspiration, will use the same retractable bridge wing concept as the Columbus to transit the lock chambers of the St Lawrence Seaway, which bypasses the river rapids, and the Welland Canal, which avoids Niagara Falls. Ponant previously operated in the Great Lakes with the 90-berth Le Levant, built in 1990. 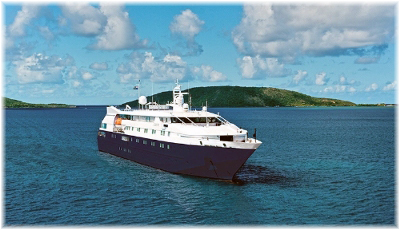 That ship was sold to Paul Gauguin Cruises in 2011 to become the Tere Moana and now sails for Grand Circle Travel as the Clio. Le Champlain will depart Quebec on October 15 for a 10-night Gulf of St Lawrence and Atlantic Coast cruise from Quebec to Boston. The former Columbus has just left the Great Lakes today after completing two 16-night round trip cruises from Montreal, sailing as far as Chicago and back. She was operated by Hapag-Lloyd from 1997 to 2011, during which time she came into the Great Lakes most years, and now sails for Plantours + Partner of Bremen as the 400-berth ms Hamburg. The outstanding question is where the new ships will berth in Chicago in 2020. 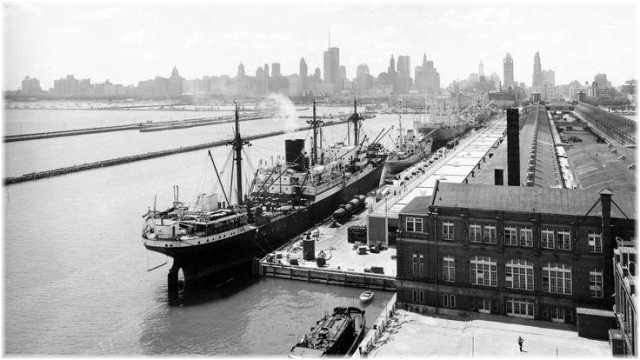 For decades, passenger ships of all kinds, from day boats to 7-night cruise ships, berthed at the famous 3,300-foot Navy Pier, an installation that although it opened 101 years ago, on July 15, 1916, did not take the name Navy Pier until 1927. Navy Pier can today be likened to an overgrown version of Copenhagen’s Tivoli Gardens. 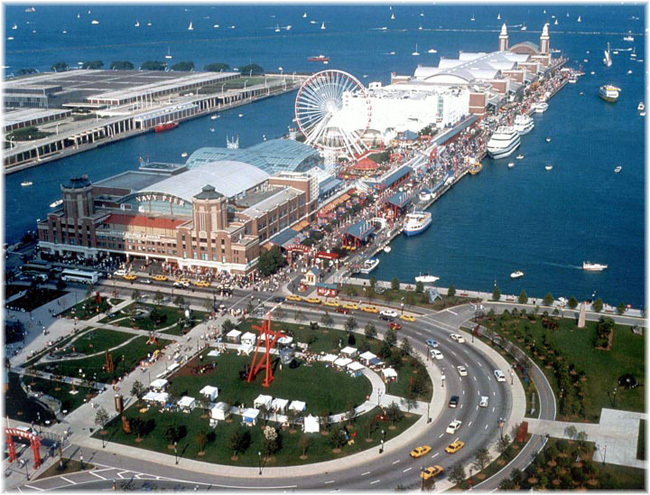 With commercial cargo having moved out of town, Navy Pier now encompasses more than fifty acres of parks, gardens, shops, restaurants, attractions and exhibitions and draws nearly 9 million visitors a year. Tivoli Gardens, by comparison, covers twenty acres and attracted 4.6 million last year. All of this activity means that there is no longer room for overnight cruise ships with immigration and security requirements and on her last visit to Chicago, the Hamburg had to bunker first in Milwaukee and then anchor off in Chicago. More recently, Great Lakes cruise ships have been using commercial piers that are more industrial than touristic in aspect. While Toronto and Detroit have now opened their own cruise terminals, there has been no such movement in Chicago. The first ultra-luxury ship lengthening since the original Royal Viking trio in 1981-82-83, will take place when Silversea stretches its 540-berth Silver Spirit from 649 feet to 691 feet in overall length. This will bring her lower berth capacity up to 608, slightly more than the 596 carried by line’s flagship, the 698-foot Silver Muse. The insertion of the newly-built midsection will take place in March 2018 at Fincantieri’s Palermo shipyard. The same yard lengthened MSC’s “Opera” class quartet in 2014-15. Where the MSC ships are 94 feet wide and were lengthened by 79 feet, Silver Spirit has a beam of 87 feet and will be lengthened by 49 feet. The new midsection will include six silver suites, twenty-six veranda suites and two panorama suites. 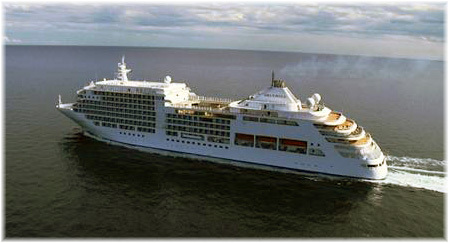 The Silver Spirit will also be updated to include many of the innovations introduced by the Silver Muse. The latter’s creative dining concepts will be incorporated and décor enhancements will be made to suites and public spaces, as well as outdoor areas.